F or many Americans, the immediate response to the September 11th tragedy was deep sadness around the deaths of so many, followed by serious concerns for the families of the victims. Many in the hospitality industry were especially affected by the fate of the friends and colleagues who worked in the hospitality profession at the World Trade Center, including corporate dining rooms, the Windows on the World restaurant complex on the 105th and 106th floors of Tower 1, and delivery and catering professionals who were on site on September 11th. A core group of industry leaders convened, including Tom Valenti, Chef and owner of the restaurant Ouest; David Emil, an owner and operator of Windows on the World; Michael Lomonaco, Windows Executive Chef; Waldy Malouf, Chef and co-owner of restaurant Beacon; and Darlene Dwyer, a food industry public relations consultant. They focused on the hospitality industry because they had known and worked with those who died, and they felt a deep concern for their families. Many of those who died had worked in entry-level, jobs, such as dishwashers, food servers and kitchen assistants. A large number were immigrants who had come to America to build futures for their families. Their survivors had little or no savings, no other source of income and few friends or family in New York to turn to for help; in the days and weeks following 9/11, they struggled to pay rent, buy food and meet basic expenses. The group knew the challenges facing these families and committed themselves to do something. Together, with over fifty other colleagues, they decided to create a fund to provide assistance specifically to the families of those who had worked in the hospitality industry. They called it Windows of Hope to speak to a positive vision of the future. 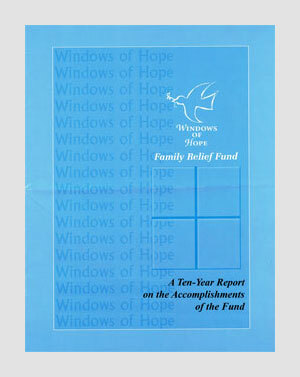 As a first step, Windows of Hope planned a fundraiser called “Dine Out”, an invitation to restaurants around the globe to give 10% (or more) of their proceeds from one evening, October 11, 2001, to Windows of Hope. This approach was a symbolic way of beginning to help people move past their collective shock and mourning and towards a semblance of normalcy in their lives, in short: to go out to dinner …to be social again. “Dine Out” also provided a way for restaurant owners – indeed for all in the food industry - throughout the world to contribute to the Fund by doing what they do best – preparing and serving meals and providing hospitality. Restaurants and others within the hospitality industry participated. They were from all over the world and nearly every state. Donations were also received from individuals and organizations not directly involved in the food industry. Ultimately, funds were raised quickly and beyond all expectations. In 2006 it was determined that the remaining funds should be used exclusively for the educational needs of the spouses and children. 2022 is a significant year, as in that year the children who were born in 2001 will turn 21 years of age. It is the hope of WOH that funding will be available through 2022. The goal once again follows the original thoughts of the founders: “What would the victims want for their families?” Therefore, helping the families continue to achieve stability and having the children thrive through education will always be at the forefront of the Fund's mission. 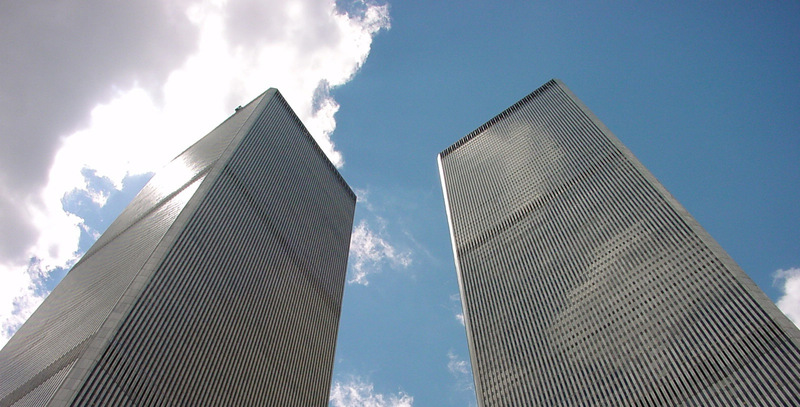 W indows of Hope Family Relief Fund was formed to provide aid, future scholarships and funds to the families of the victims of the World Trade Center tragedy who worked in the food, beverage and hospitality professions throughout the entire complex and who were lost on September 11th. Windows of Hope Family Relief Fund is a 501 © 3 charitable organization. W e met our original goals and now the Fund continues to provide help with educational expenses for our families and their children. It is our intent to continue this funding until the year 2022.